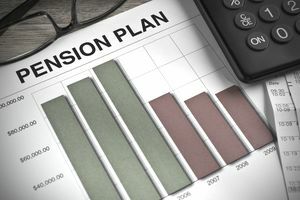 In most industries, employee pensions went out with the stand-alone fax machine and three-button suit, but in government, pension plans are still common. Government retirement systems provide a healthy complement to Social Security and personal investments. These three elements make up the three-legged stool of government retirement. As in all government expenditures, taxpayers ultimately foot the bill, but they are not the only ones with “skin in the game.” Retirement annuities aren’t just given to public employees when they stop showing up for work. Employees contribute a portion of each paycheck to their retirement systems, which much later down the road entitles them to annuity payments. When individuals take public service jobs, part of the decision to accept a job offer is whether the person can live off the salary minus the retirement contribution. The tradeoff is the employee does not have to save as much for retirement from the remaining salary dollars. Also, the investment is entirely or partially handled by the retirement system. Government agencies also contribute to employee pension plans. Many agencies are required to match (or nearly match) the amount of money that employees contribute. Agencies see this as a personnel cost similar to other employer-paid benefits like health insurance premiums and life insurance. A somewhat analogous private sector cost is an employer match to an employee’s 401(k) contributions. These contributions are invested to fund annuity payments and grow monetary reserves. All government employees do not receive the same annuity amount. Generally speaking, each retiree’s amount depends on that person’s years of service and highest salary. Those public servants with long tenures and high salaries contribute more in aggregate than others with shorter tenures and lower salaries. Age comes into play when determining retirement eligibility which is when an employee can begin receiving annuity payments. Retirement systems calculate retirement eligibility independently. Just because one system has a rule where age and years of service must be equal to or exceed 80, for instance, doesn’t mean others use the same methodology. Before employees retire, they know the eligibility rules and exactly how much money they’re due in annuity payments. It is because retirement systems rarely change the rules for existing employees. When changes are necessary, they often apply only to new employees or employees with very little tenure within the retirement system. Just because an employee reaches retirement eligibility does not mean the employee automatically retires. In fact, relatively few public servants retire upon eligibility. Instead, they continue working and therefore contributing to their retirement systems with the expectation of their annuity payments being higher because they waited to begin receiving them. All in all, taxpayers ultimately fund government employee retirement pensions, but in exchange, they receive a workforce of public servants who carry out the business of government. Public servants contribute to their retirement both as taxpayers and as employees who rigidly and routinely kick in a portion of their paychecks. Agencies also contribute as a benefit like private sector employers sometimes do for their employees. Retirement systems invest those contributions to pay current retirees and build up reserves for long-term viability.